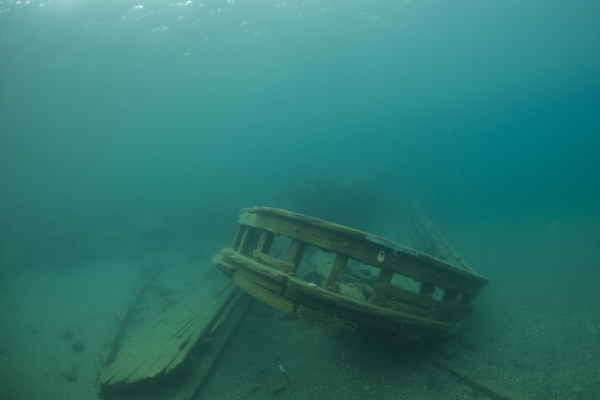 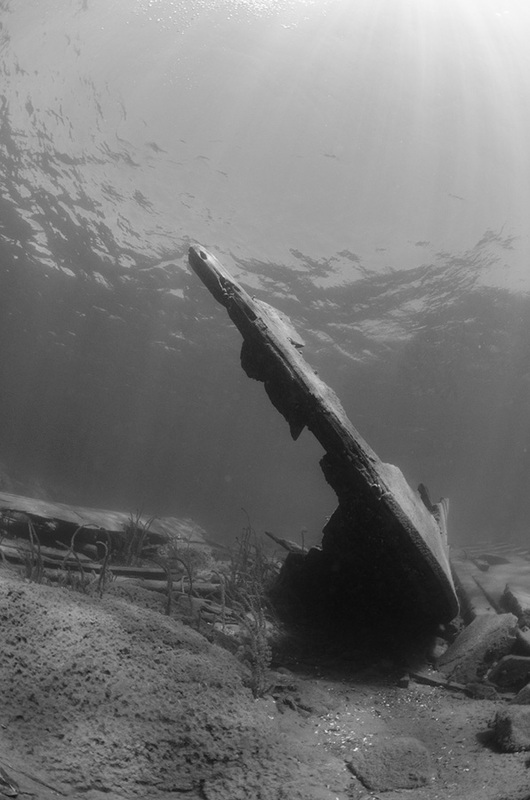 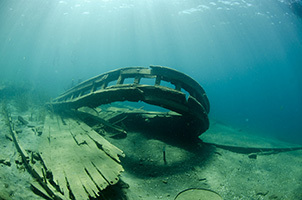 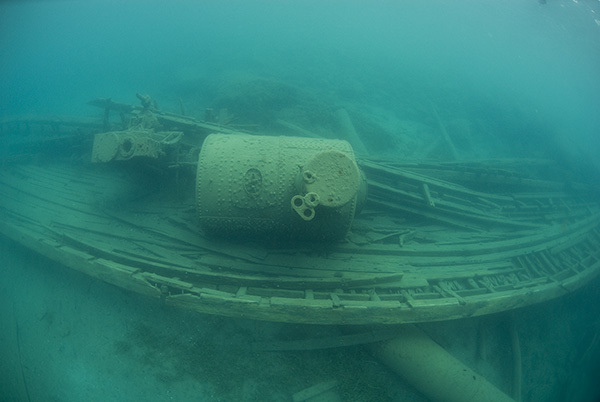 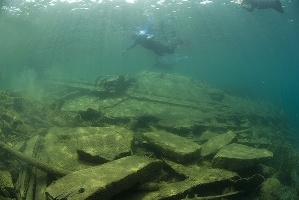 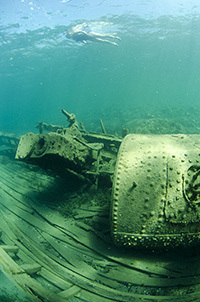 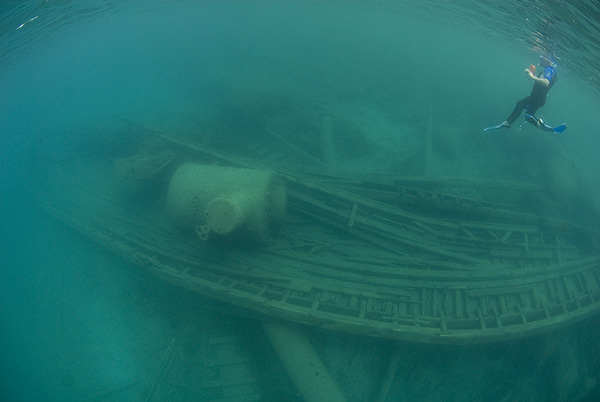 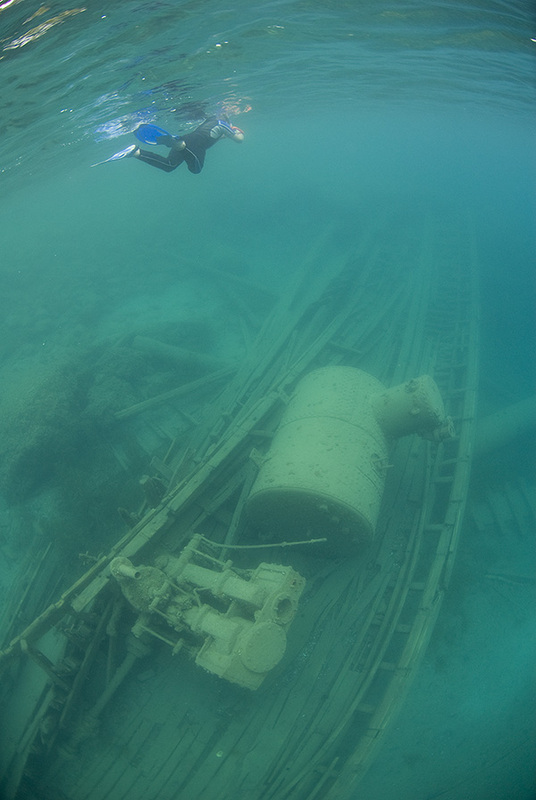 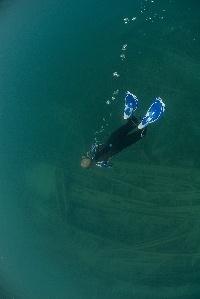 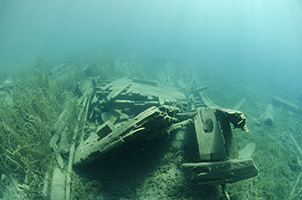 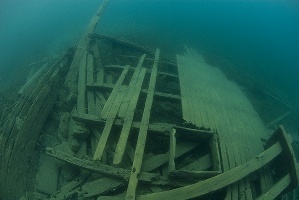 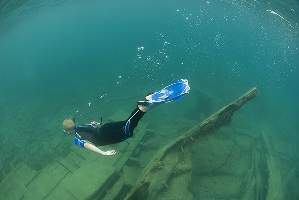 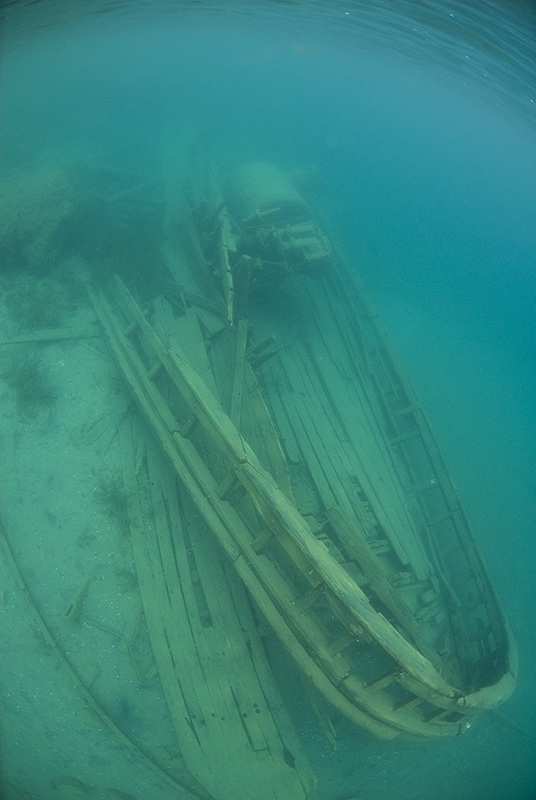 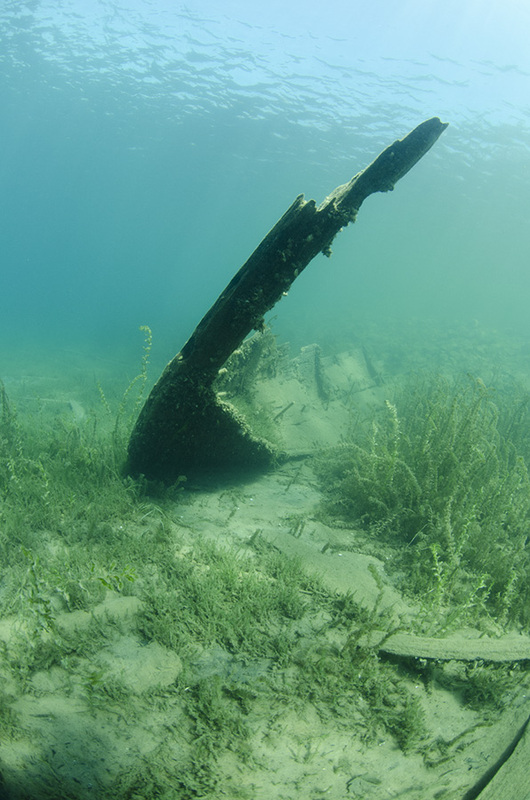 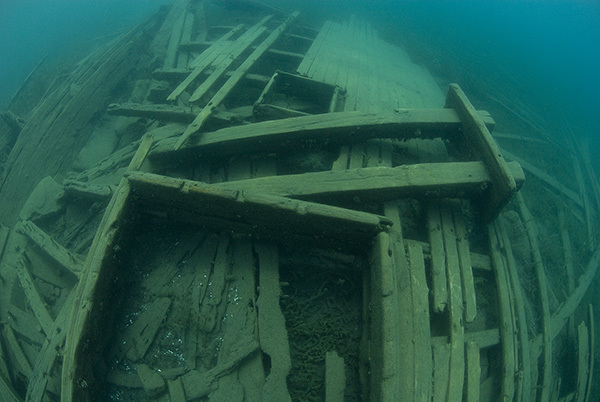 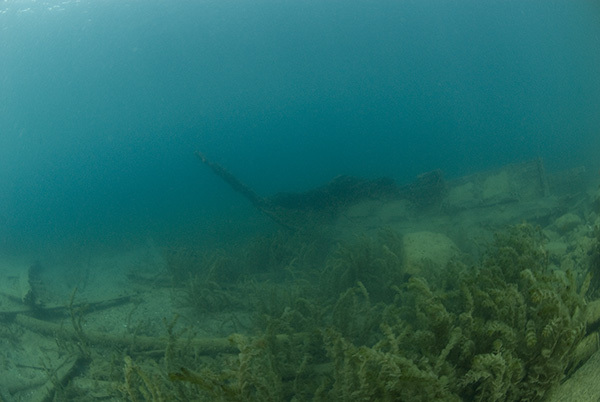 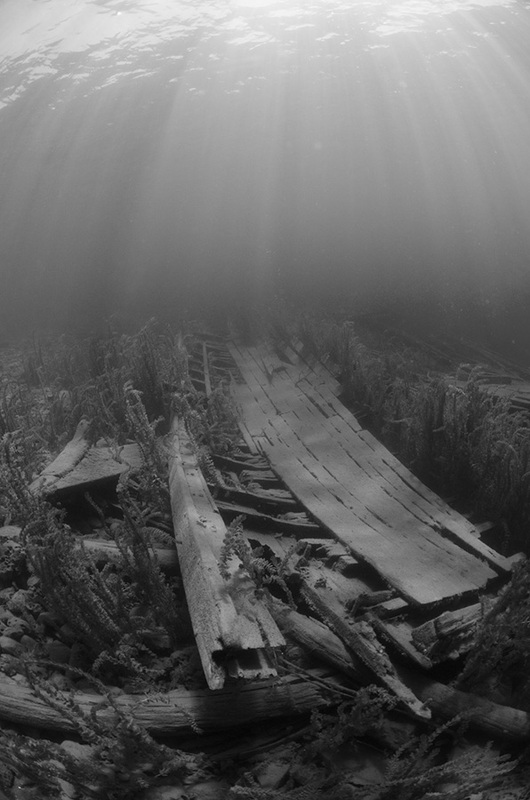 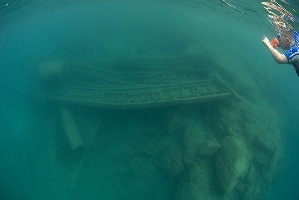 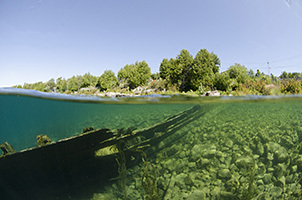 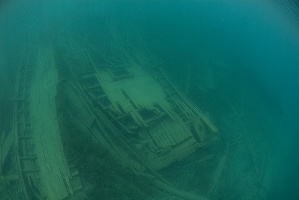 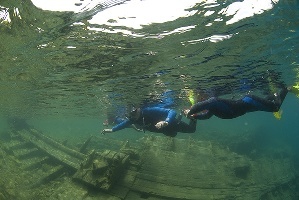 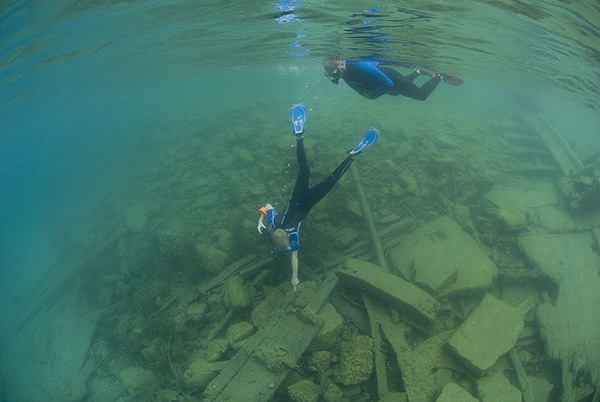 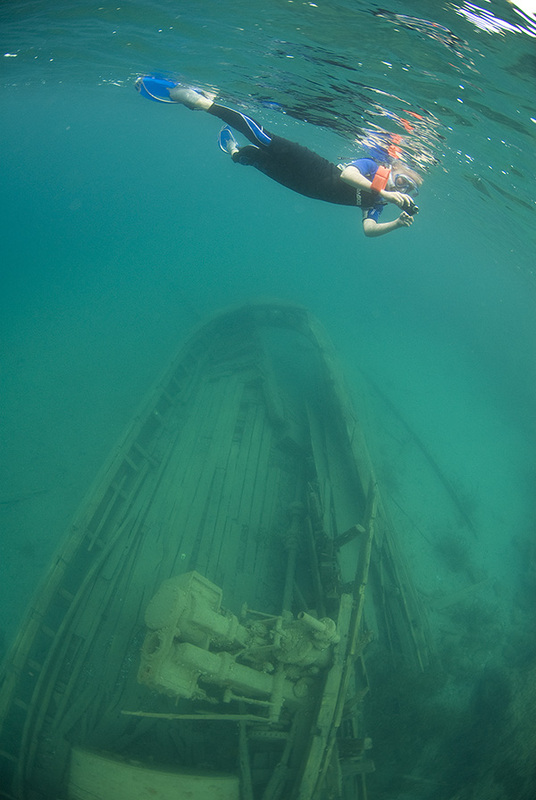 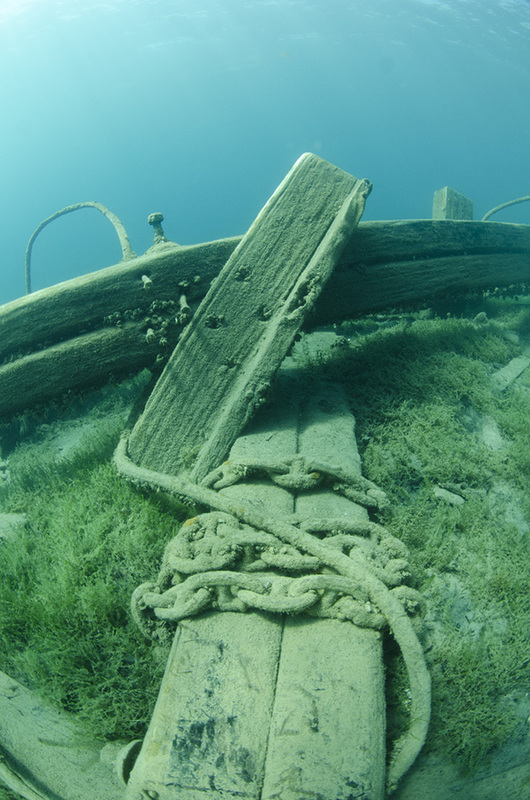 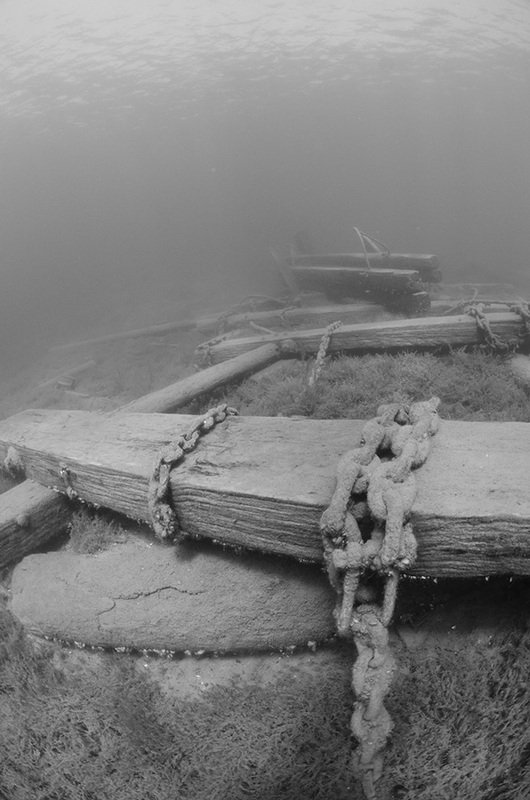 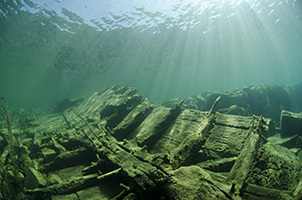 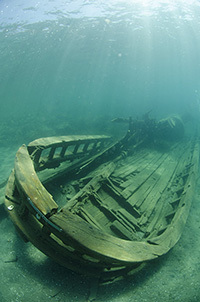 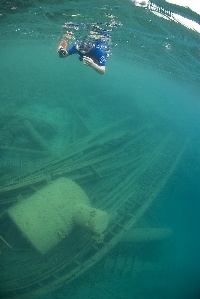 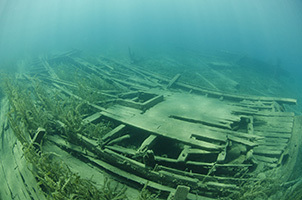 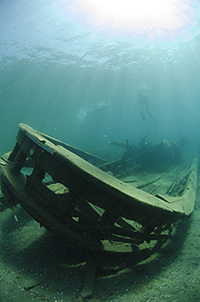 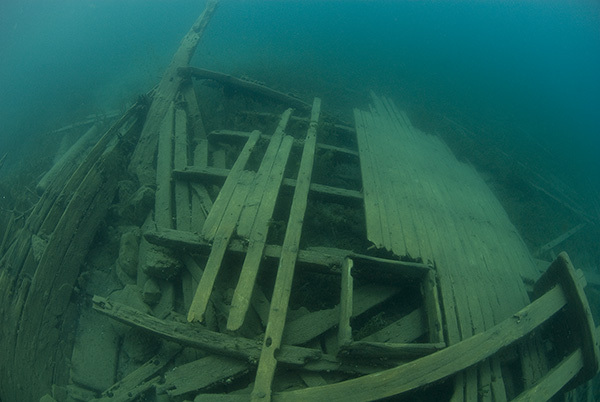 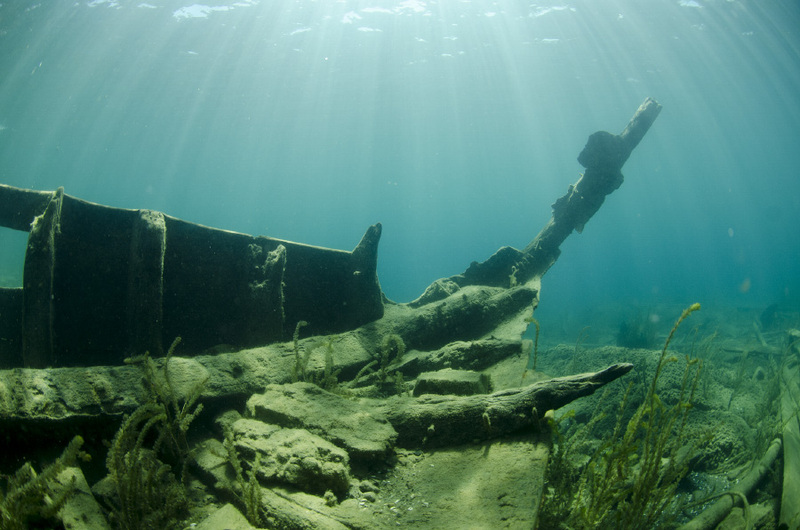 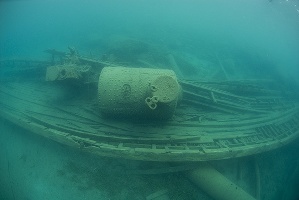 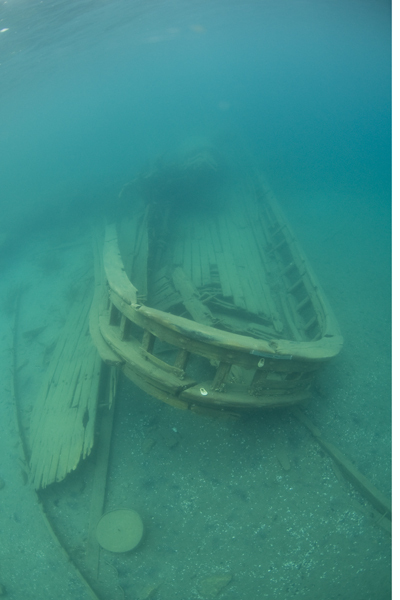 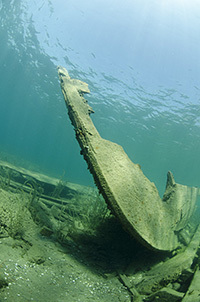 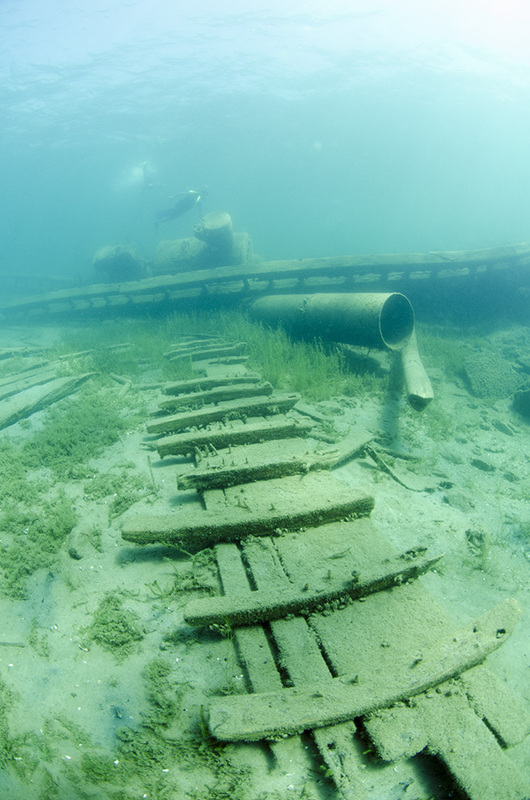 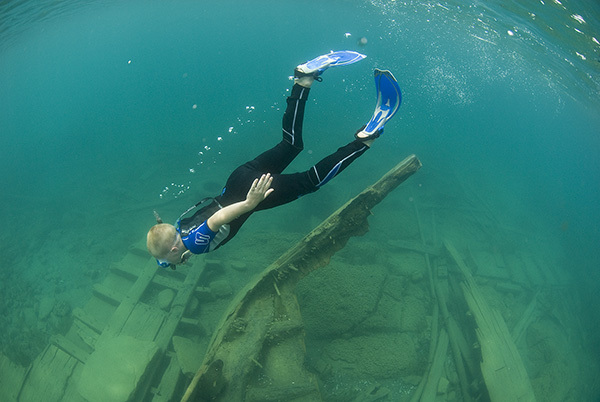 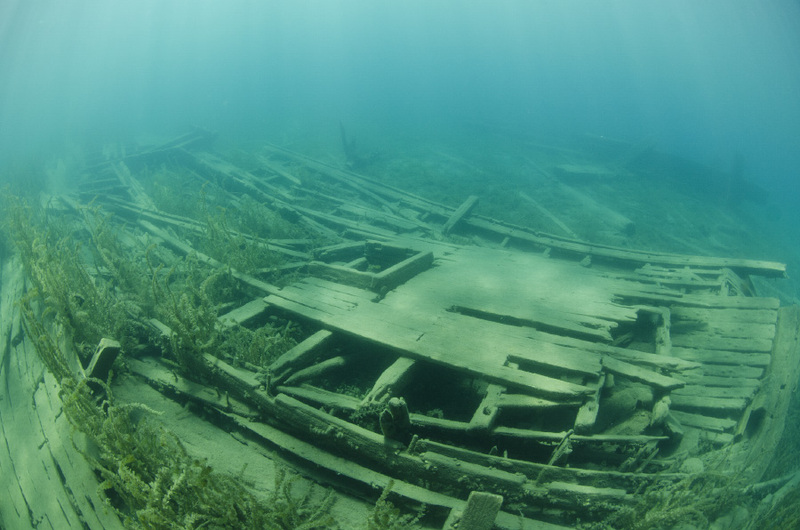 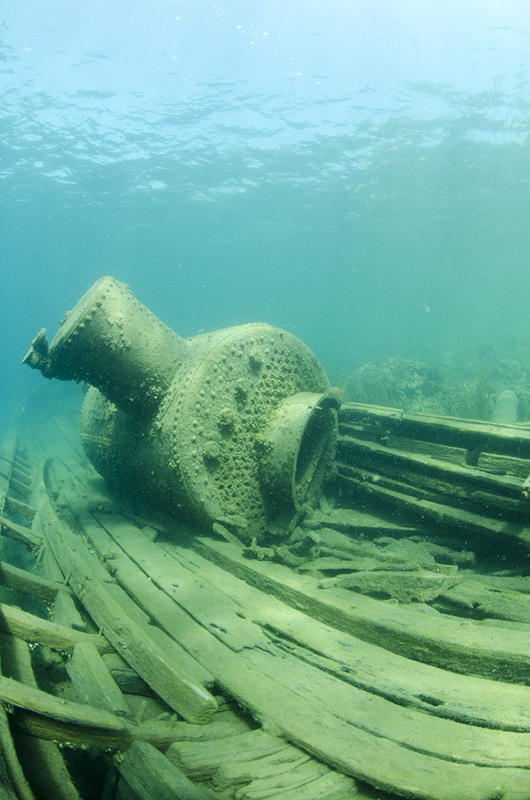 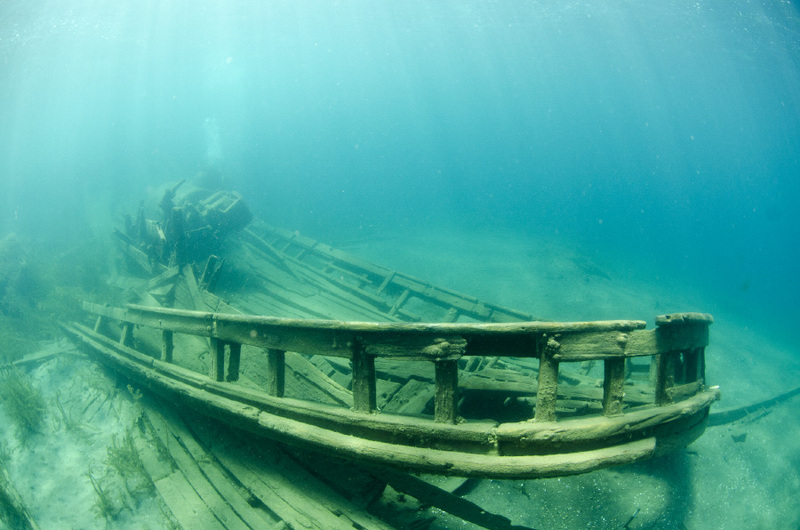 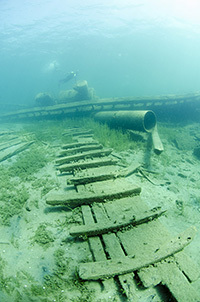 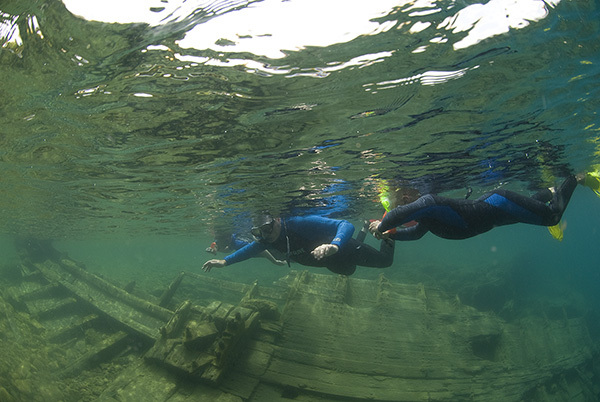 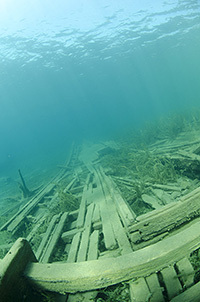 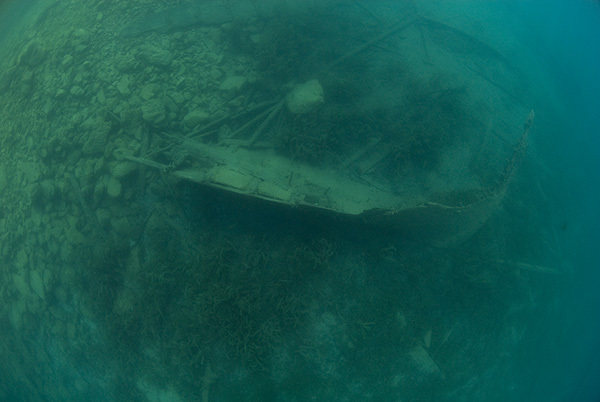 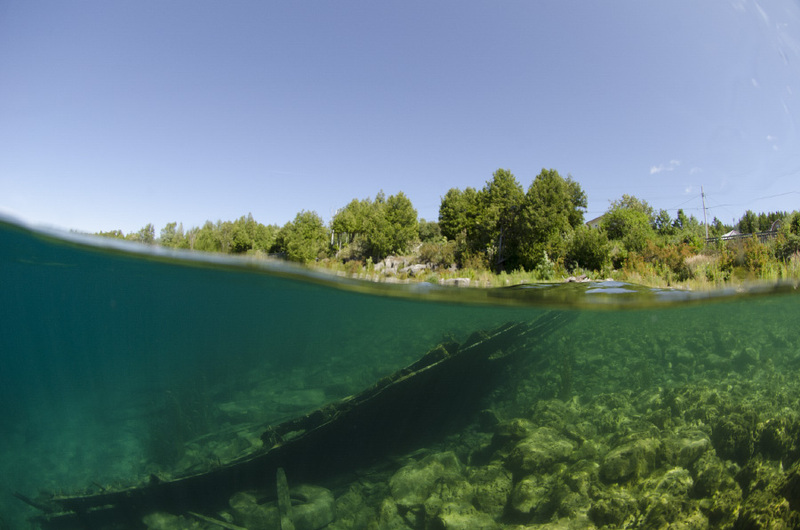 The Tugs is a shallow diving site that actually contains four small wrecks. 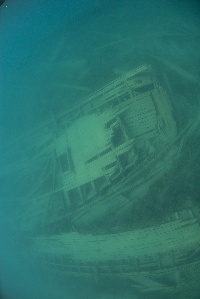 Most of them caught fire in the harbor and sunk very close to shore and shallow. 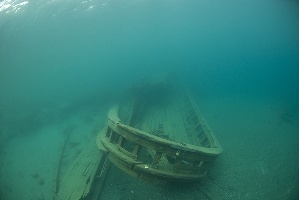 The names are known as Alice G, Robert K, Bob Foote and John and Alex. Alice G is the most intact one and is located to the right of the entrance. The other three are to the left of the entrance and the first one starts in less then 10 ft of water. 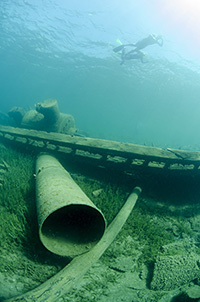 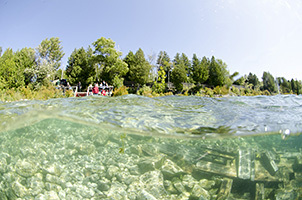 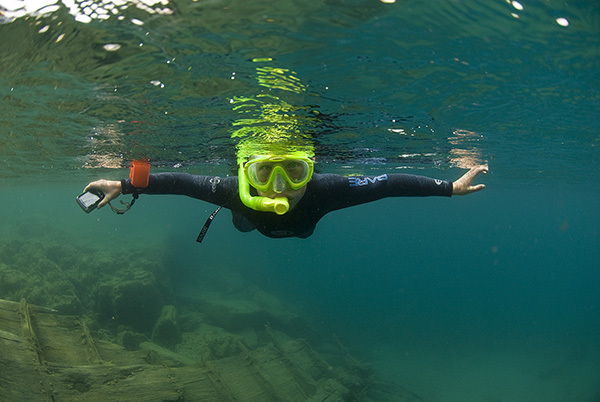 This is a great site for beginner divers or snorkellers. 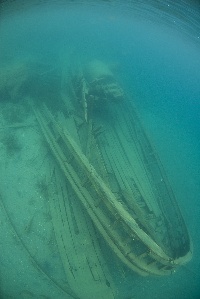 There is a deck (across from Grandview Motel) as well as stairs for easy access. There is also a changeroom/ washroom on site since it is a popular snorkelling site.